Lemmy’s memorial event in West Hollywood on Saturday is to be extended across the entire Sunset Strip, organisers have said. 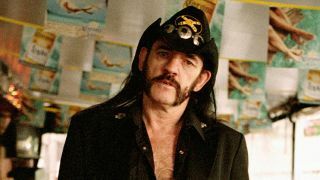 It was announced following the Motorhead icon’s death on December 28, and was originally to take place at his spiritual home, the Rainbow Bar And Grill, between 2pm and 2am on January 9 (Saturday). But operators say in an update: “Due to the overwhelming and supportive response to Lemmy’s memorial, we are now using the entire Strip to compensate for overflow. Meanwhile, the race to place Motorhead classic Ace Of Spades at the top of the UK chart this week is heating up. The track is sitting in the No.9 position on the midweek listings. Motorhead tour mates Saxon have announced alterations to their upcoming plans as a result of Lemmy’s death. Frontman Biff Byford reports: “We have to cancel our headline shows in Italy, Spain and Aberdeen for obvious reasons.